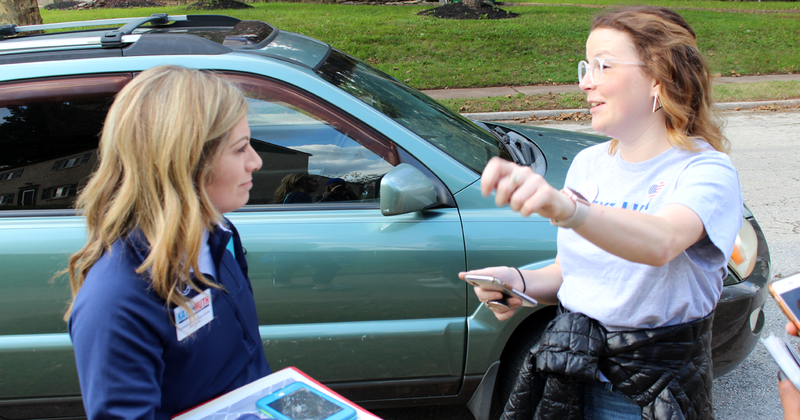 Last week, People For the American Way staff volunteered for Katie Muth’s campaign for Pennsylvania State Senate. 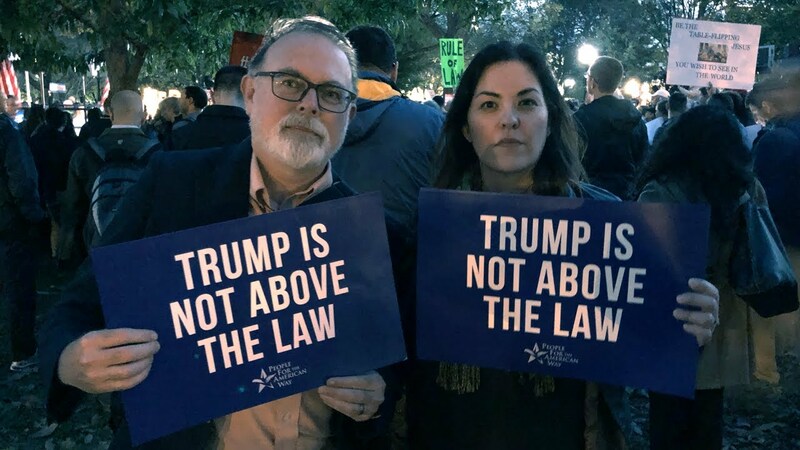 The goal of the long weekend was to provide as much support as possible for Muth as she seeks to flip the seat in Pennsylvania 44 which has been occupied for a long time by John Rafferty, a staunch Republican who has recently launched a series of attacks. 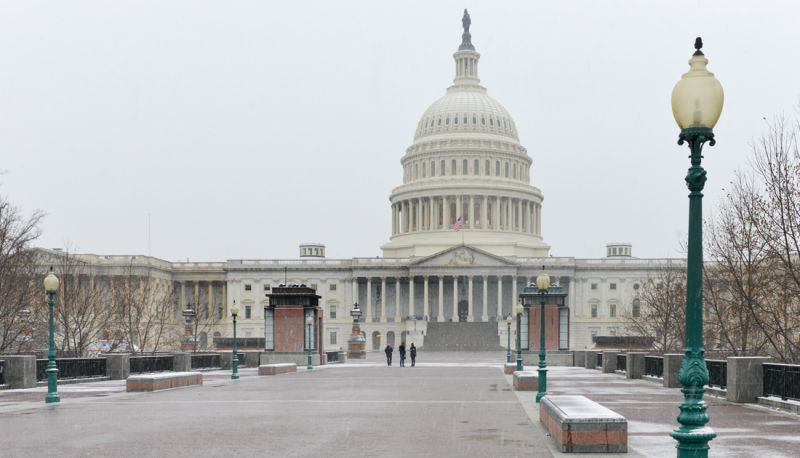 Muth is running as a candidate centered on the working-class in her district who wants to get big money out of politics. 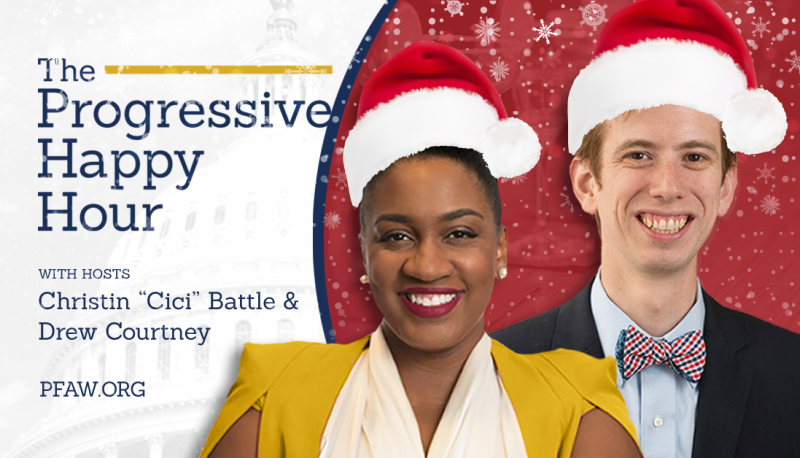 Not only does Muth embody the progressive ideals PFAW seeks in a candidate, she was also part of our Next UP slate of progressive women candidates running for state or local office whose experiences with sexual assault or harassment influenced their candidacy. Although many underestimated Muth when she first announced her candidacy, in the past several weeks she has received a flood of support from small donors and community organizers because of her authenticity and willingness to stand up for survivors of sexual assault. 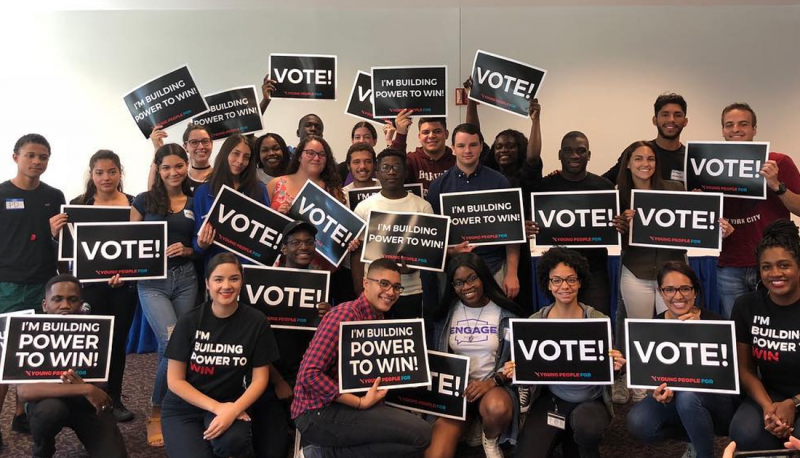 People For the American Way staff and volunteers attended canvassing events on Friday and Saturday, phone banked to recruit potential volunteers to her campaign, and helped set up yard signs around her district. Along with other volunteers for her campaign, we were able to reach thousands of potential voters throughout the weekend and get the word out about her vision for Pennsylvania 44. One of the most encouraging aspects of the weekend was that Katie Muth personally joined us as we knocked on doors for her campaign. She explained that it was important to her to engage directly with her constituents and she didn’t shy away from more conservative voters. Every time she was met with hesitation about her agenda, she responded with patience and a genuine interest in hearing about each voters’ concerns. With tight local elections like this, we need all hands on deck as we enter the last couple weeks of this campaign. 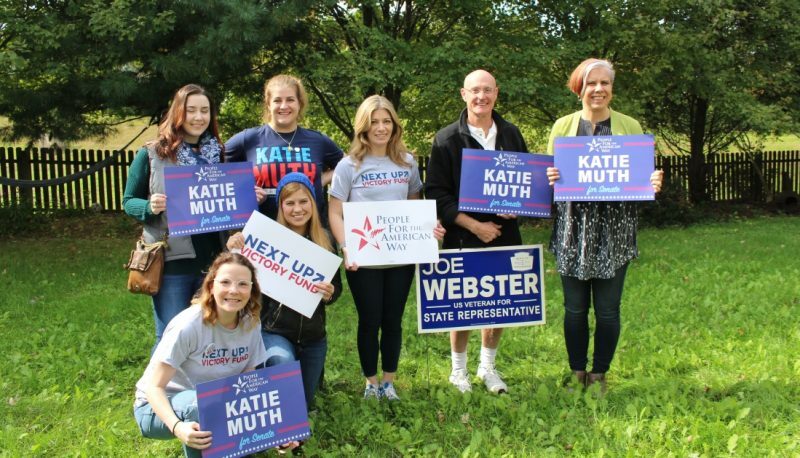 If you are interested in helping us bring a blue wave to Pennsylvania this November by volunteering to support Katie Muth, please visit her campaign’s website. Or find a local Next Up candidate near you and sign up to volunteer today!